Dr James B Harley’s career with the NHS Health Service commenced in 1960 at Altnagelvin Hospital as a Laboratory Scientist where he obtained FIMLS qualification in Biochemistry and Microbiology. In 1968 Dr J Harley and his wife Celine moved to Galway to commence his medical degree in NUI and obtained his Medical degree in 1975. His post Graduate GP training was completed in Derry at Altnagelvin Hospital from 1976 to 1979. 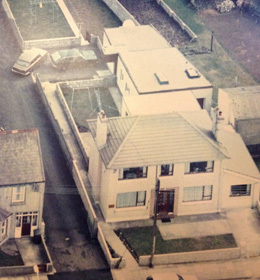 Dr J Harley was appointed GP in Portstewart when Dr Glass retired in 1979. 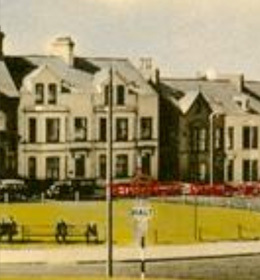 He continued the GP Practice at Melbourne House in Atlantic Circle for only one year and then moved to Central Ave in 1980 where the surgery was located at the back of his house. After many successful years at Central Ave, the Practice expanded and moved to a new build facility on Lever Road in the heart of Portstewart in 1995 – built by local builder Patsy O’Kane. In 2001 a new GP Partner arrived, Dr Dearbhla Harley (born in Galway 1971 when Dr.J was studying Medicine) who graduated from the Royal College of Surgeons Dublin in 1996 and completed her GP training at Altnagelvin and Edinburgh in 2001. 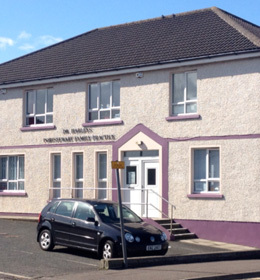 Both Dr James & Dearbhla have gained many years experinece in Portstewart and the triangle area, the Practice is well established within the community and will continue to deliver a first class service to our existing patients and welcome all new patients. If you have any enquiries regarding our services, please do not hesitate to contact us. & the Portstewart Family Practice team.